We have a 3630 CS on order with the build date to be scheduled in the near future. DH does not want the back ladder as he thinks it detracts from the updated back end on the CS. Although this is our 4th coach, it will be the first without a roof ladder. He says we can carry a 17' folding ladder for when we need access to the roof. I'm a little uneasy that we won't have a ladder attached to the coach "just in case". Are my fears unfounded?? Hi Mitch, my thought on the ladder are: I have never had a emergency to have to use mine. I always use a extension ladder rested on the top of the Coachs rear ladder and use the top hand rails to get on top. For a bigger person the ladder setup is not a comfortable climb as I tried it once. I guess in a emergency one would work if you did not have anyother way to get on the roof if needed. The one time I tried it I put the bottom section on and give it a try, the bottom section came off and has been in the basement since. Did you ever use your other mounted ladders you had? As palehorse89 said, it's not an issue to have one as long as you ensure you carry some means of getting on the roof. You never know when this need arises. I went through a wind storm that unravelled my main awning and I had to get on the roof to strap it back. I didn't have a ladder with me so it was good to have the ladder access at the rear! My Winnebago is the first rig with no ladder. However, I never used the ladders on my tt or 5th wheels. No manufacturer would tell me the weight limits and I didn't want to find out the hard way. Added to no ladder on this rig, Winnebago owner's manual tells me to stay off the roof; let it for the techs. As I'm getting older, this suits me fine. I'm up on our ladder all the time, but we have solar panels I like to tilt, etc. If there's no reason to go up there I think it's fine to not get the ladder, especially since DH is planning on having the folding one which will reach if needed. You only need a ladder to get onto the roof. 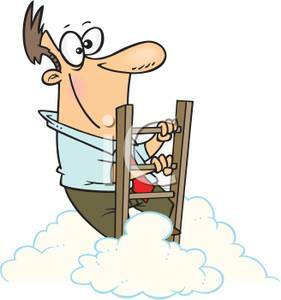 If you have no plans of ever needing to get up there, then opt out of the rear ladder. In my younger years I wound not hesitate to get on top but the older I get I have less of a desire to be up there. In fact, just recently I hired a painter to lay down a special rubberized polyurethane type paint that I am ordering this week. It will reduce the need to power wash the roof as often and it will eliminate the white streaks on the sides of my coach. Bottom-line less time on the roof. If something needs to be replaced up there then I will hire it done. People have died from falling off the roof so why take the chance. I wouldn't own a coach without one. It's one of those items that each individual must decide the usefulness for themselves. I believe it a safer way to access my roof than if I used an extension ladder I had to step off from. I carry a 8'ft, aluminum, step ladder with me for years now. I prop it up against the MH installed ladder and use it to get on the roof. It hooks onto a small rack (Camping World) hung on the top rung of the MH ladder. I secure it for traveling with a stretch bungee to a lower rung. I use the step ladder all the time, cleaning roof water channels, cleaning the windshield, and other windows. Just curious. Where will you keep that 17' ladder?